General Hospital (GH) spoilers tease that the ABC soap has a fierce competitor in Days of Our Lives. Things are heating up on NBC and Days fans are taking notice. 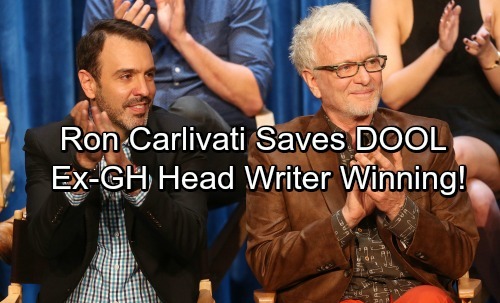 Since Ron Carlivati took over as DOOL’s head writer, the show’s ratings have been on the rise. It’s clear that Carlivati is just what the soap doctor ordered! Many GH viewers believe Carlivati once saved General Hospital from a grim fate. He joined the show at an uncertain time for the genre. After ABC canceled All My Children and One Life to Live, fans feared GH might be next on the chopping block. Fortunately, Carlivati came in and gave the ratings a big boost. Of course, there are typically ups and downs with any writer. Despite scoring accolades for his work, Carlivati was ultimately fired following a bit of a ratings tumble. The show decided to give Carlivati the boot, but now he’s taking the soap world by storm. General Hospital may be wondering if it was a mistake to let Carlivati go. This guy apparently knows what fans want to see. As DOOL ratings climb and GH ratings falter, we could see ABC’s offering move to the fourth-place slot. 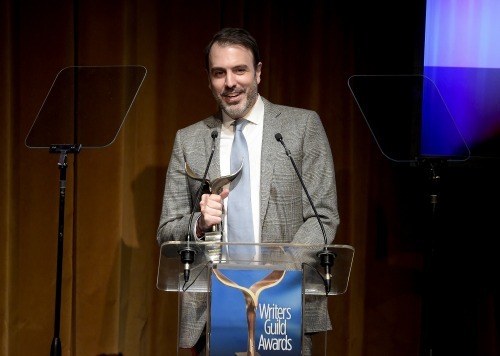 Carlivati must be thrilled by the reception to his writing at Days of Our Lives. In fact, some people feel like Days is the only soap that’s consistently bringing it right now. What is it about Carlivati that leads to such success? What can other soaps learn from the wizard? There are definitely a few pointers other writers could take advantage of. Carlivati isn’t wasting time with couples no one’s invested in. He’s going with the obvious options and letting those pairings enjoy some romance. That’s 100-percent OK. The surprises and drama can come from the storylines. Carlivati is making sure Days fans have a reason to tune in by providing gripping scenes and cliffhangers. Instead of one major return, DOOL viewers are getting a flood of fan favorite comebacks. The focus is on core families and relationships. Carlivati also loves to incorporate plenty of humor, which is key. Never forget that soaps should be fun! Carlivati tends to use history in sneaky ways as well. He throws in mentions of important moments and includes flashbacks that relate to current storylines. Those are nice strategies to please longtime viewers without confusing new ones. Carlivati seems to have found the magic formula, so maybe GH should take a page from his playbook. General Hospital spoilers hint that some good material is coming up, but there’s always room for improvement! We’ll give you updates as other news emerges. Stay tuned to the ABC soap and don’t forget to check CDL often for the latest General Hospital spoilers, updates and news.